This professionally decorated, completely furnished, 3 bedroom townhome is within walking distance of shopping, nightlife, and skiing. All homes have the same fine furnishings as seen in our photos here or on our website. While eating at the dining room table, sitting in the familyroom, the master bedroom, or while sipping a glass of wine in your own personal hot tub you will have breathtaking views of beautifully landscaped gardens or the beautiful mountains of Whistler. All bedrooms come completely furnished w/television and telephones. Our home comes complete with wireless internet service (no charge). We have a private single car garage that can also accommodate skis/snowboard and bike storage. 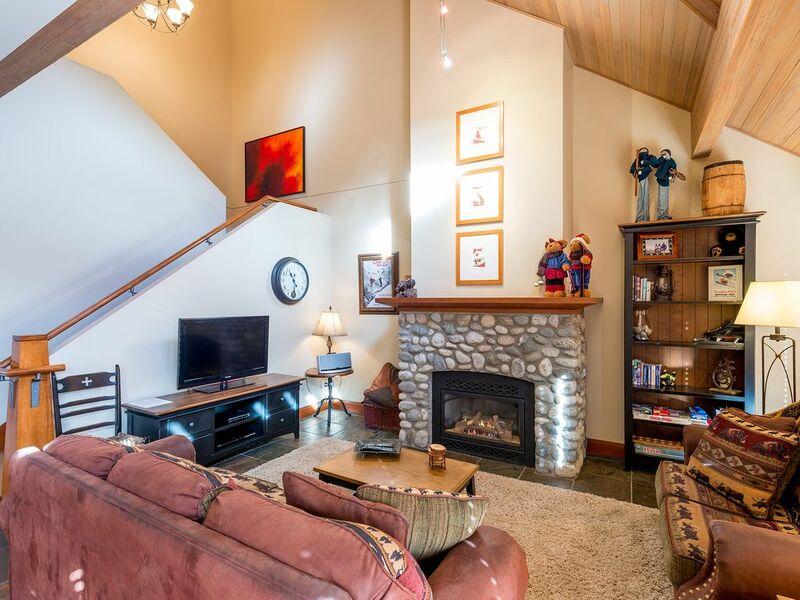 For Entertaining: The Family Room offers a lofted wood covered ceiling with 2 sofas, a chair with ottoman and an entertainment center equipped with Cable TV,DVD,and a Stereo CD Player. There is a patio table and chairs for outdoor dining. Our home has a gas bbq as well. Sorry... We are a Non-Smoking property.